3 Pack of Ladies ICU Sun Readers Only $9.99 Plus FREE Shipping! You are here: Home / Great Deals / 3 Pack of Ladies ICU Sun Readers Only $9.99 Plus FREE Shipping! Ever need to read something while you are outside… in the sun? This 3 Pack of Ladies ICU Sun Readers Only $9.99 Plus FREE Shipping are a fashionable, fun and functional solution for you! 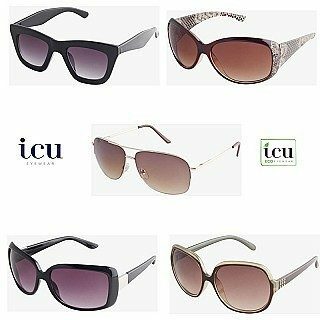 Only $3.33 per pair for sunglass readers!